Around The World Tour in celebration of our 10th birthday! On the 14th of July, Robogals will be celebrating its 10th birthday! 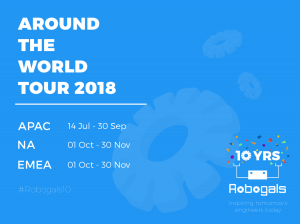 To mark this milestone, we’re excited to announce the Around the World Tour: an international series of workshops specially designed around the theme of “a global community” and run by local Robogals chapters worldwide. These workshops will embody the Robogals’ vision, “A global culture of inclusion and diversity in engineering”. The tour will kick off in the Asia Pacific region, before moving through to North America, Europe, the Middle East, and Africa. 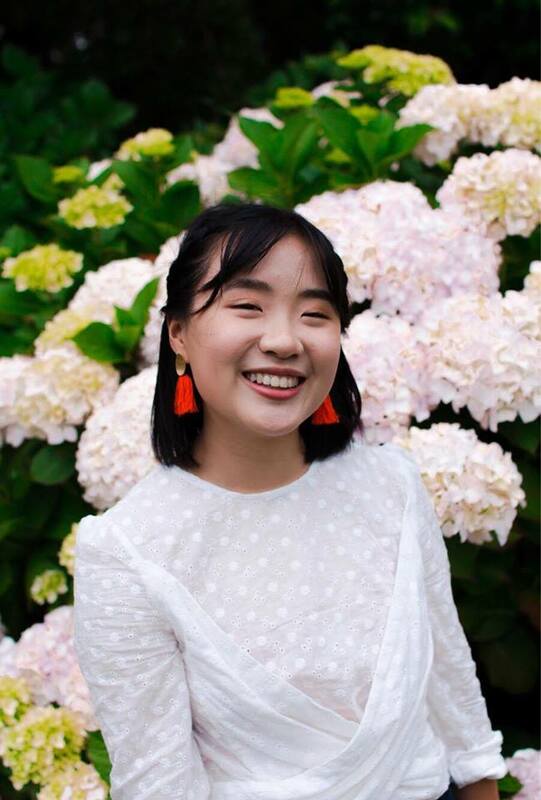 These workshops will highlight Robogals’ global impact over the past 10 years, celebrating how much we’ve achieved and continue to achieve in the world of STEM. To date, Robogals has run thousands of workshops and introduced over 70,000 girls to the world of science and engineering – numbers that we hope to see continue to grow in the next ten years and beyond! This is where you come in – over the next few months our chapters will work with their local communities to begin crafting their workshops. If you’re interested in getting involved, please contact your local chapter. If you’re not sure what the closest chapter to you is, or who to contact, please visit the Locations page on our website to find out! The Around the World Tour workshops will include engineering activities and challenges with a global focus, along with the opportunity to learn about famous women in STEM from all over the world. We want to recognise each of our 30 Robogals chapters (located in over 10 different countries) and how STEM has developed in their own countries as well as across the globe. The Around the World Tour workshops will be unique to every chapter and shaped by the input of their local community – everything from holiday workshops, to school workshops to rural and regional trips, all engineered as a demonstration of the Robogals’ key pillars of integrity, community, passion and innovation. Also make sure you check out our latest news and the official Robogals Facebook page for more updates on the Around the World Tour as we get closer to the launch on July 14th!